A new condo development is coming to Downtown Vancouver. 99 Pender by Bing Thom Architects, also known as the butterfly building. 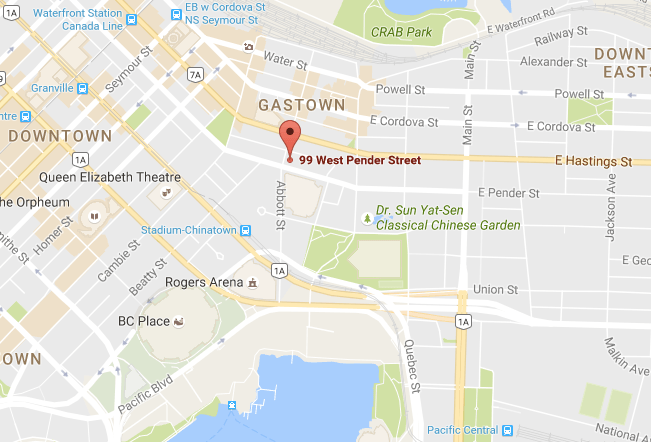 Located at the cross streets of West Pender and Abbott directly across from International Village mall. This mixed-use building has a podium containing retail and office uses and is topped by a sculptural residential tower. The residential tower is designed with open corridors facilitating cross ventilation in all units. The development is still awaiting final approval. Stay tuned.